I’m going to publish this month’s installment of useful links a little early, as I have another post I’d like to share later in the week. Included below are links to articles I think you’ll enjoy on the subjects of shopping and shopping psychology, wardrobe management, style, and personal development. I’m also sharing a few previous “Recovering Shopaholic” posts that you may have missed the first time around (or may choose to revisit now). A winter sunset over the Pacific Ocean at Ocean Beach, San Diego. As in all recent useful links editions, the photo above is one of mine. I periodically share my photos over on Instagram as well (I need to get better at doing that!). If you want to see my photos there, you can follow me at debbie_roes. You can also check out my previous “photography interlude” blog posts. I know it’s been a little while since my last one, but I will get back to publishing these posts approximately once a month very soon. “Throwaway Fashion: Women Have Adopted a Wear it Once Culture” – If you like statistics as much as I do, you’ll love this recent article from The Daily Mail. A survey of 2000 women found that most clothes are only worn seven times before they are discarded and many women consider a garment “old” after having worn it just three times! Those are just a few of the compelling figures shared, but I was most surprised by what was considered an average size wardrobe by the respondents and how often most women shop. I’m definitely an outlier on both of those fronts! “Know Your Weaknesses” – Many of us struggle with buying on impulse, but did you know that there are four different types of impulse purchases? This post from The Nife en L’Air highlights all four and presents a personal example of one type with some suggestions for counter-balancing it. Also included are compelling questions we can ask ourselves in order to figure out our weaknesses and start taking steps to better manage them. “You Weren’t Born to Pay Off Debt and Die” – I know that not everyone who reads this blog is dealing with debt, but it is a big problem for many people. But as Blonde on a Budget says, “our time on this planet is far too short to let debt control your life.” Every time we go into debt to buy something, we are making a choice. 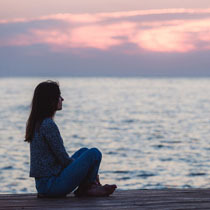 It’s important to realize that, as we are then empowered to make different choices and perhaps take the route that comes with the least amount of stress or anxiety. This is a compelling read that will really make you think. “How to Build a Wardrobe One Piece at a Time” – If you are visually oriented and believe that a picture speaks a thousand words, you should definitely check out the great wardrobe building posts from The Vivienne Files. I especially like this one, as it starts with one three-piece outfit and shows how adding one well thought out piece at a time leads to a cohesive wardrobe with abundant combinations. The resulting capsule is sixteen pieces (7 tops, 4 toppers, and 5 bottoms) that all work well together in terms of color and style. “Forty Days – Forty Items: The Lent Closet Purge” – The Catholic season of Lent has been under way for about two weeks now, but it’s not too late to begin this Lent-inspired wardrobe challenge. Check out this post from Wardrobe Oxygen to learn how all of us, Catholic or not, can work to clean out our closets during this season. It’s an easy and fun way to downsize, one item at a time. “The Wear Quotient of Wardrobe Items” – Many of us lament that we aren’t wearing the items in our closets often enough, but there are good reasons as to why some pieces will be worn more than others. In this great article from You Look Fab, three levels of wear quotients are outlined: the workhorses, the backbone, and the specialists. 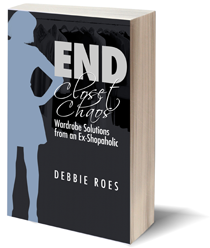 Knowing which is which can help guide our wardrobe management process, as well as our shopping. “Shabby to Chic – Buying the Right Pieces” – I recently discovered this classic post from Putting Me Together that really crystallizes some things I’ve been thinking about lately. Sometimes the difference between a boring outfit and an interesting and stylish one is subtle. It’s all in the details! For example, a black lace tank will make an outfit look more polished than a plain cotton one. This makes a lot of sense to me and I’m going to strive to buy pieces with more special details in the future. That way, I won’t need a topper or a lot of accessories in order to look – and feel – good in what I’m wearing. “How Internal and External Factors Impact Your Style” – This article from You Look Fab provides a lot of food for thought. The main point is that our style is affected by two groups of factors: internal factors that are all about us and external factors that relate to our context. Internal factors include our style preferences and body type, while external factors encompass our lifestyle, climate, and budget. While I have considered – and written about – most of the influencers mentioned, I’ve never seen them grouped in such a way before and found it useful to think about things in that manner. “Undergarments: Hidden Secrets for Looking Put Together” – We don’t generally think much about our undergarments in terms of our style, but they can really make or break an outfit. It’s hard to feel attractive and confident when our underpinnings are digging into our flesh or riding up unnecessarily. Audrey of Putting Me Together shares seven undergarment tips she uses to feel more pulled together in her clothes. I have never heard of tip #6 before! “How I Quit My Smartphone Addiction and Really Started Living” – As someone who has gotten too attached to my phone, I was excited to read this article from The Guardian. The author has lived without a cell phone for 18 months and is much happier for it. She now gets more sleep, has better relationships, and is more present to life and her own thoughts. I don’t know that I want to completely quit my smartphone, but I do want to reach a happy medium in which I am the master instead of a slave. “Understanding the Meaning of Colors in Color Psychology” – We all have favorite colors that we like to wear, but did you know that there are deeper meanings to our preferred hues? A fascinating website called Empower Yourself with Color Psychology has a lot to teach us about color as a form of non-verbal communication. This particular page highlights the basic meanings of standard colors such as red, green, blue, pink, white, and black. If you want to delve deeper, there’s a whole page on each individual color, as well as information on color as it relates to business, personality, culture, and more. “Organization Expert Marie Kondo Declutters Her Brain Like She Declutters Her Closets” – I’ve written before about using the “KonMari Method” to declutter my closet, books, and music collection, but did you know that it can also be used to “tidy” our minds? In this article on Motto, Marie Kondo shares the coping strategy she uses when she feels she has too much to do and there’s no way to handle it all. She breaks down the four steps to her process and shows some personal examples. I haven’t tried it yet, but I can see how it can be helpful for dealing with our cluttered minds. Each month, I share a few early “Recovering Shopaholic” posts that I think you might enjoy reading (you can see all of my posts on the Archives page). The articles below were all published in February 2013, the second month of the blog. It was fun to revisit them today and I hope you enjoy them, too. If you resonate with what I have written, I’d love to get your thoughts. I wish I could leave comments open on old posts, but due to spam issues I have to close things out after two weeks. Please feel free to share your views about the archived articles in the comments section of this post instead. “Reflections on the First Month” – I thought it would be interesting to share this very early post here. 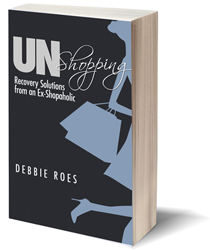 In it, I write about my experiences of the first month of my recovering shopaholic project. I include some insights on returning things to shop more, feeling like a kid in a candy store at the mall, and how it was for me to live with my rules and limits while shopping early in 2013. “What is a Normal-Sized Wardrobe” – This is the most popular post on the blog, probably because it’s a question that a lot of people have. The basis of this article was my husband’s closet audit and how it led me to question whether or not the number of items he had was “normal.” As a result, I delved into issues of optimal frequency of wear and wardrobe size and came up with a basic formula that can help us all decide how much is enough – or too much. I was intrigued by “why” behind the statistics in the Daily Mail article about many women wearing clothes a few times and then no longer liking or wearing the piece. I wonder if this is a result of making purchases without lots of thought, trying new things while experimenting with style refinement, garments turning out to be low quality and not holding up, or just plain mistakes… it’s probably all of the above (and other reasons, too). I wish the article had statistics about that particular point. In my own journey into being more mindful in clothes shopping, I’ve bought garments that I only wore a few times due to all the reasons above. A lot of it was buying things that were not appropriate for my life. At first it was fabulous ‘wild and crazy’ pieces that were not useful on a day-to-day basis. Then, during a professional transition, it was just trying to figure out what I could wear to work that was both comfortable and appropriate- I got it wrong a lot and am still figuring it out. Even though I didn’t spend a huge dollar amount on any of it (mostly thrifted), it was still frustrating to not get good use and value of of things! Thanks so much for commenting, cm. I wish the Daily Mail has statistics about why the women no longer liked or wore their clothes after a few times, too. The reasons you mentioned are ones that resonate for me. I think a lot of buying mistakes could be avoided by increased self-awareness – of what our true lifestyles are and of what we really like and wear. It also helps to be more cognizant of garment quality issues, too, but not all mistakes can be avoided. Sometimes we just can’t know how something will work for us until we wear it. Yet, if we keep the issues you mentioned in mind, our track record will almost certainly improve quite a bit! Love your photo! I really enjoyed the “How to Build Your Wardrobe One Piece at a Time” article. The early blog posts were quite fun to read too. How far you’ve come! Glad you liked my photo and the links in this post, Tonya. I really enjoyed the wardrobe building post, too. I wish I would have taken such a logical approach when building my wardrobe, but I can think backwards a bit and see what pieces would add the most new options to what I have now. Maybe one of these days, I will use her “4 by 4 Wardrobe” template in my closet and see what I can come up with. That could make for an interesting post, except I am already seeing that my “bottoms” are almost all in black (or a print that includes black) or denim. Hmm… It would still be a fun exercise. Thanks for your kind words on how far I’ve come. I don’t stop to acknowledge that enough, as I am always looking ahead, but when I think about it, yes, I have made some good progress in 3 years! Very interesting articles! With references to the “Throwaway Fashion” article, I was really surprised by the average wardrobe size. 66 garments? I”m sorry but that’s way too small a number, unless it only includes what is referred in this blog as “out and about” clothes. I was very surprised by that, too, Jane. Since the survey was done in the UK, it would be great if some readers there would chime in. My husband lived in the UK for 13 years and told me that people had smaller closets there (and many of them used what we refer to in the US as armoires). If that’s still the case, perhaps that’s the reason for the lower number. I’m sure the US number would be much higher, even for just “out and about” clothes. Here’s an article I found just now that states 90 as the average number of items for American women (still seems low to me…): http://blog.threadflip.com/post/56162208301/the-economics-of-a-womans-closet There are some other interesting stats in the article. I remember sharing it in a previous links post! I’m British and I was also surprised by that number! It made me wonder if people just estimated the number of clothes in their wardrobe without actually counting them. It seems unlikely that 2000 women counted all of their clothing items just to fill in a survey! I definitely underestimated how much clothing I had until I forced myself to count each individual item. Another possibility is that 66 is a mean average, where some people had huge amounts of clothing but others had very small amounts. In terms of clothing storage, I have read in several places that British wardrobes are smaller than American closets, but I know several people in the UK with more than one wardrobe and several chests of drawers… people will find a way to hoard clothing if they are determined! (Maybe my friends are just shopaholics?) But I can see how having a large amount of clothing storage space would help to disguise a shopping problem. If you have plenty of space to accommodate all your purchases, perhaps it would take longer to occur to you that you are buying too much? Just wanted to add to my comment by mentioning the book “Why women wear what they wear” by Sophie Woodward. It’s a British study of women, their wardrobes and clothing choices. Anyway, she includes numbers of clothing for the 27 women in the study and the mean average was 98 garments. Obviously, it’s a much smaller group than the survey quoted above, and several of the women are fashion students or work in fashion which is bound to have an effect. Just thought it was interesting as a different side to the story. Also, I can’t recommend the book enough because it’s fascinating! Thanks so much for weighing in, Rachel! You’re probably right that the women surveyed likely estimated their wardrobe size as opposed to actually counting things up. I know that I would have underestimated what I had before I started counting (and OVER-estimated how often I wore things). I used to have TONS of storage space, too, and I would guess that at one time, I probably had between 400 and 500 items of clothing! When we have the space to store things, it’s all too easy to let it keep accumulating. I didn’t realize I was buying too much or that I had too much, but then again I also didn’t want to realize it… The book you mentioned sounds fascinating! It’s the type of thing I would enjoy reading. Even the average of 98 garments seems low, but I probably have a skewed opinion based upon the women with whom I associate. No matter how we slice it, though, my wardrobe size is still larger than average, despite how much I have pared down. Somehow I must have missed your “Designer Target” post from a few years ago – so that was a nice surprise today! As a fellow Target shopper I really liked seeing someone else’s opinions on the matter. In all honesty I only have a few designer for Target items that I truly love. I definitely agree that many times the items aren’t nearly as amazing as we hope and it is definitely easy to be lured in by a designer name at Target prices. The one that really gets to me is the Lilly Pulitzer for Target incident. The items were all really REALLY cute and the prices were pretty awesome compared to full designer prices, but they way people reacted was ridiculous. There is no reason to go in and buy that many items at once. I was highly appalled. That post was a VERY old one, Bethany, and I didn’t have all that many readers back when I wrote it. However, I feel the same way today. Most of those Target design collections leave to be desired, although I would have liked to have gotten in on the Missoni collection (and maybe the Lilly Pulitzer one, too). But since I wasn’t willing to get up really early and stand in line, I missed out. Yes, the reactions of the masses are pretty disappointing. It’s kind of like the stories we hear about Black Friday and people getting trampled to death. No matter how low a price something is, it’s just not worth it! As for buying a lot of items at once, it’s possible that some of those people were looking to sell them on eBay, but it’s equally likely that they were committed shopaholics. Either way, yes, it is appalling. Your text attached to the “buying the right piece” post sparked some thoughts for me. Although I myself am more attracted to more interesting versions of a staple can’t that lead to too much time spent shopping looking for perfect/interesting when simple options paired with one’s favorite accessories would be ‘enough’? It can be quite a bit harder to find interesting pieces and sometimes [for me] if they are too distinct you can’t really change them with accessories and [for me] this leads to wearing them less. So my hypothesis is that more unusual pieces lead to less wears, more items and more shopping, but I am not sure if that is true. 🙂 I know one woman who rotated the same 5 outfits weekly and never seemed to mind. So I guess it depends on your comfort level with repetition some? Your comment sparked some thoughts in ME, Mary! I think you’re right that trying to find more interesting versions of staples can lead to a lot of time shopping AND that such pieces may not be worn as often as our plainer, less recognizable items. I think it’s a matter of balance. In my case, I feel that I can tend to have TOO many plain staples, so mixing it up with some more interesting versions would give me more variety and excitement. I don’t want to necessarily have ALL such pieces, but some would be helpful. It’s true that how comfortable we are with repetition factors in. I am not like the woman you know who cycles through the same 5 outfits every week. That would feel like too much for me, but I’m trying to get more comfortable with repeating pieces so I don’t have to maintain as large a wardrobe.